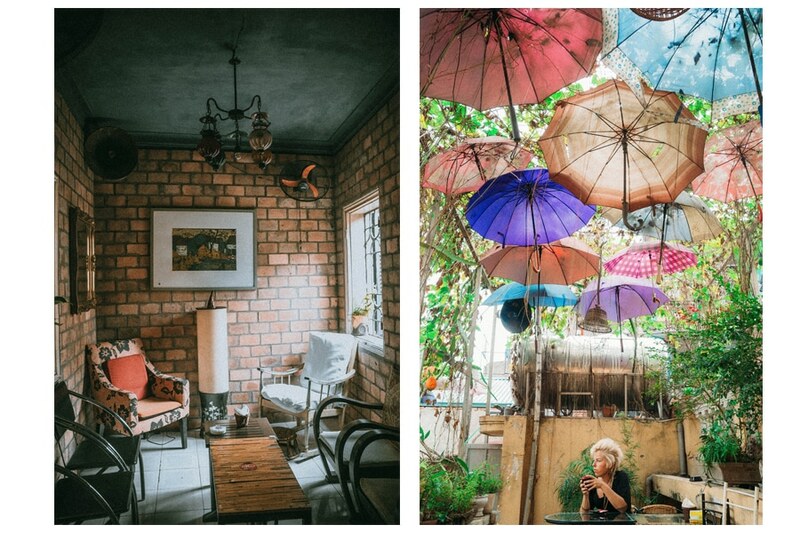 Hanoi was our first taste of Vietnam, and it left us wanting more. The capital is chaotic, but that only adds up to the charm. 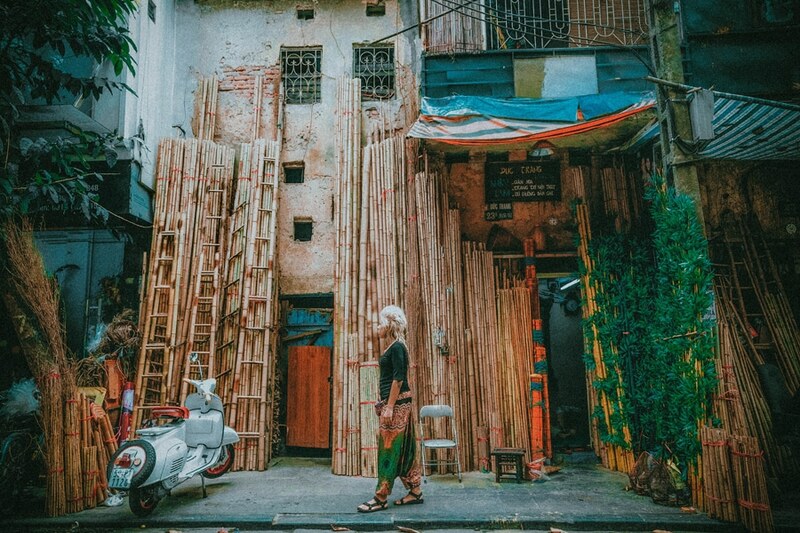 Hanoi is definitely a very unique and different than any other city in Vietnam. The best way to experience it, as we did, is to just drop off your backpack at hostel, walk around and get lost in 36 little streets of Old Quarter. Small old houses, French Colonian architecture and hidden alleys made us fall in love with this beautiful place instantly. 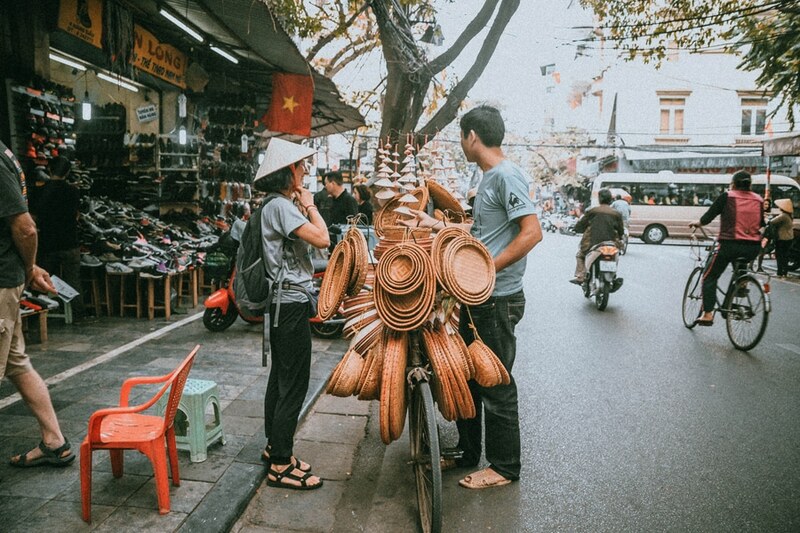 You certainly don’t need a tour or city guide to explore narrow bamboo streets and local markets on every single corner, where people are making crafts and selling all kinds of goods. The first impression about traffic in Hanoi was truly overwhelming, it’s just insane! There are even separate blogs where people suggest you “how to pass the street in Vietnam”… anyways, you will get used to it. When you hear about Vietnam, you definitely hear about their tasty cuisine! What’s so special about Vietnamese food? All the dishes are inspired by rich culinary tradition, based on local and fresh ingredients. Before going to Vietnam we already had a bit of knowledge about their traditional dishes like Pho, Ramen and Bánh mì. We always thought all of the dishes have to contain meat, fish, but the truth is, you can experience Vietnamese cuisine without animal products in it. Majority of population is strongly influenced by Buddhism and vegetarianism is a part of their traditions. 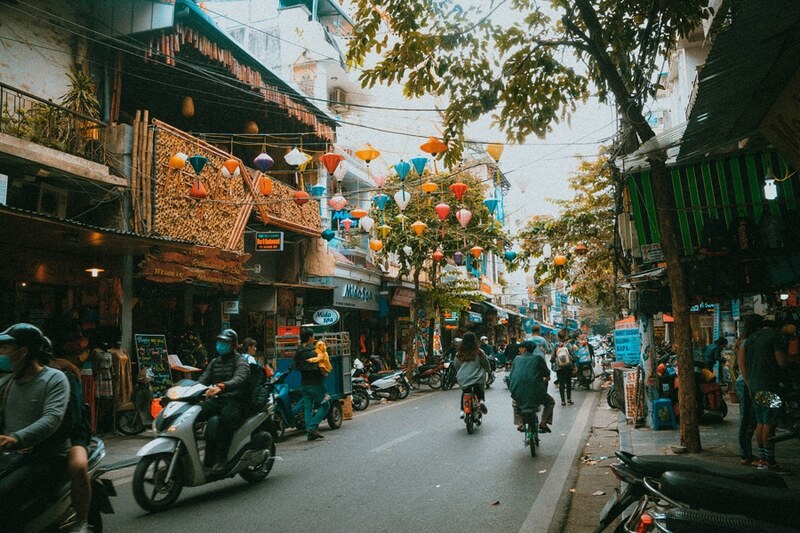 Vietnam is a pure heaven for vegans and vegetarians – each city will have a central market, where many stalls have a word “Chay” which means vegetarian. When we arrived to Hanoi, we chose to stay in Flipside hostel. 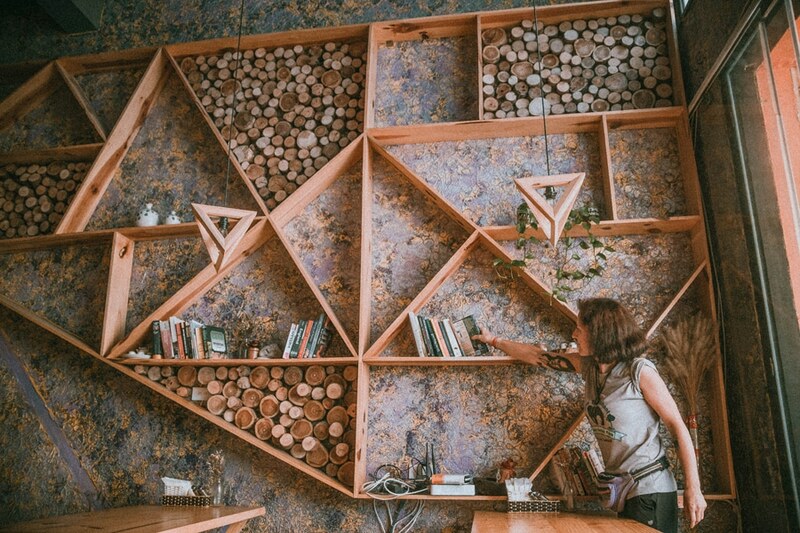 Based on the excellent reviews and recommendations from fellow travellers, this place is known for it’s chilled and hippy vibe. They also organise as many tours as you can imagine, including Halong Bay trip. 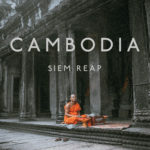 Great hosts, (we still remember Cat, one of the coolest receptionist we met in Vietnam) are always there to help and advise with travel tips and they obviously have really cheap rooms. We shared a 4 bed dorm with two other backpackers from Netherlands, Mark and Ella, with whom we are still in contact so head to the rooftop bar to socialise! 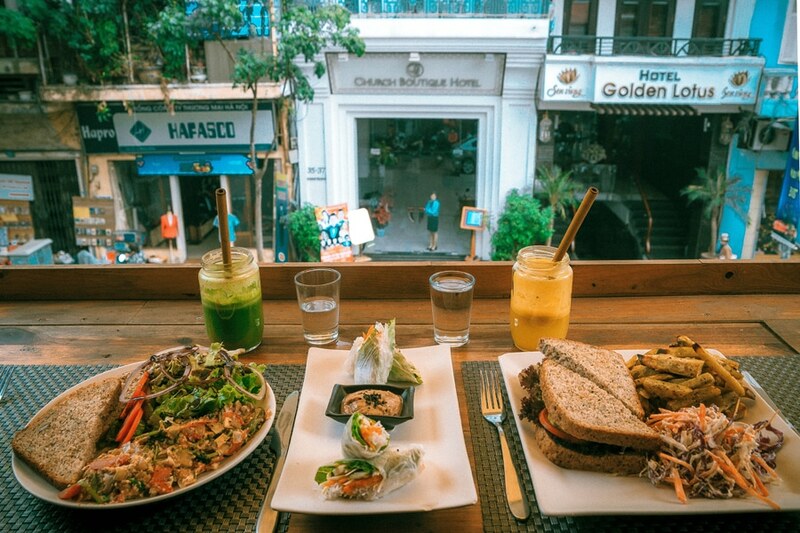 You won’t struggle to eat vegan food while traveling in Hanoi. We started our journey with breakfast at Jalus Vegan Kitchen. Choose your seat at the balcony and enjoy watching locals while having delicious scrambled tofu or vegan omelette. Additional things from the menu: mushroom pizza, gluten free pancakes, fresh smoothies and of course spring rolls. I still remember they serve their drinks with bamboo straws! 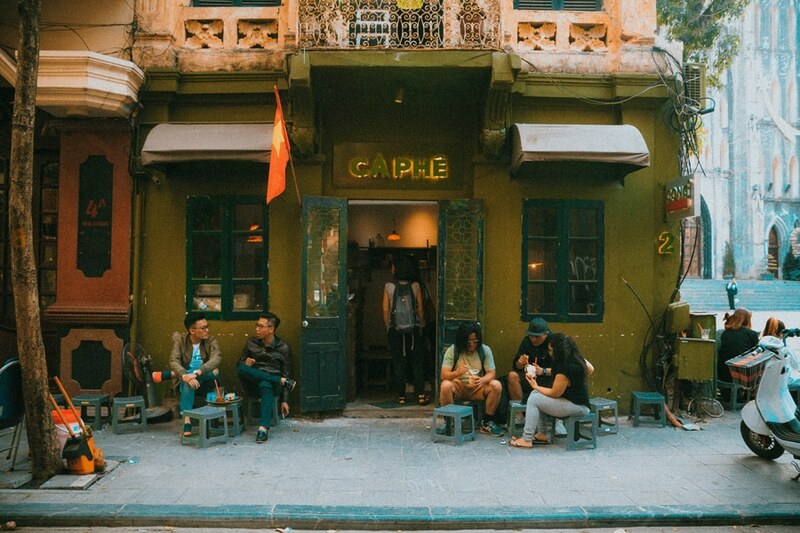 After few hours of walking and soaking in city’s culture we decided to runaway from all the buzz and headed to Café Nola, one of the most famous cafés in Hanoi. From the outside, the tiny pink entrance doesn’t show anything of that huge building. But when you step in and go to 2nd and 3rd floor, everything is different! 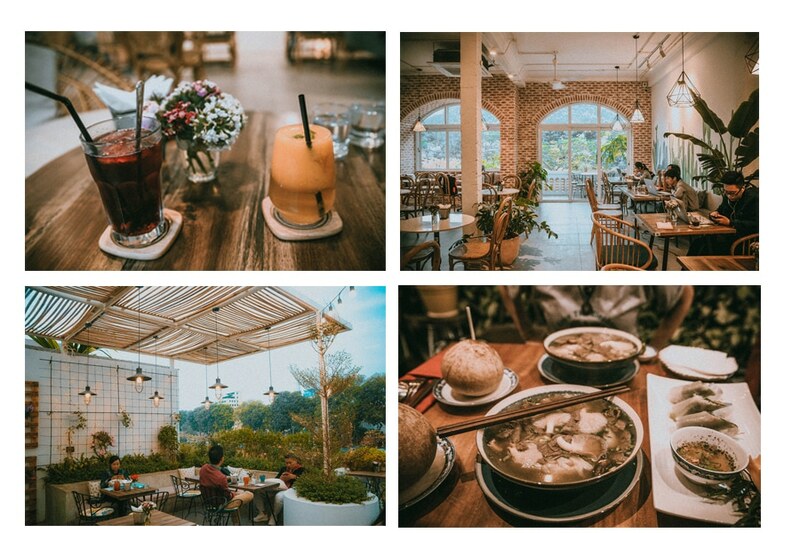 After exploring the labyrinth of stairs, rooms, galleries and the exhibitions they were hosting that day, we treated ourselves with a cup of tea in their beautiful umbrella covered terrace. 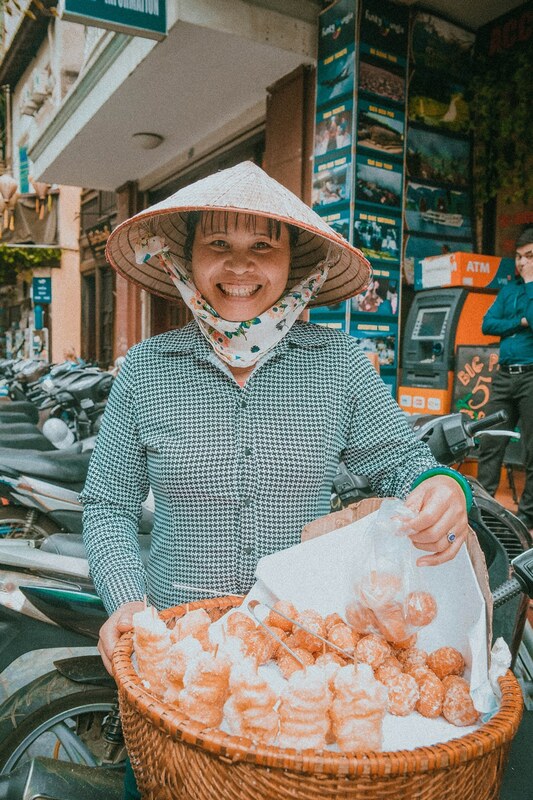 While wandering around Hanoi’s Old Quarter, you will be offered little donuts from local ladies. Banh Tieu is a western version of sweet dough from mung beans, deep fried in coconut oil and sprinkled with sesame seeds or sugar. We ended up buying 3 bags and eating it all of it. Great snack/dessert for a tea or coffee break that lasted us for a couple of days. Minh Chay Vegan Restaurant; diverse menu, perfect place for south east Asian culinary experience and your first taste of Pho! Next day we headed out a bit up North to see the famous Halong Bay. One of the Seven Wonders of the World, Halong Bay is an unforgettable experience and a must do if you travel to Vietnam! 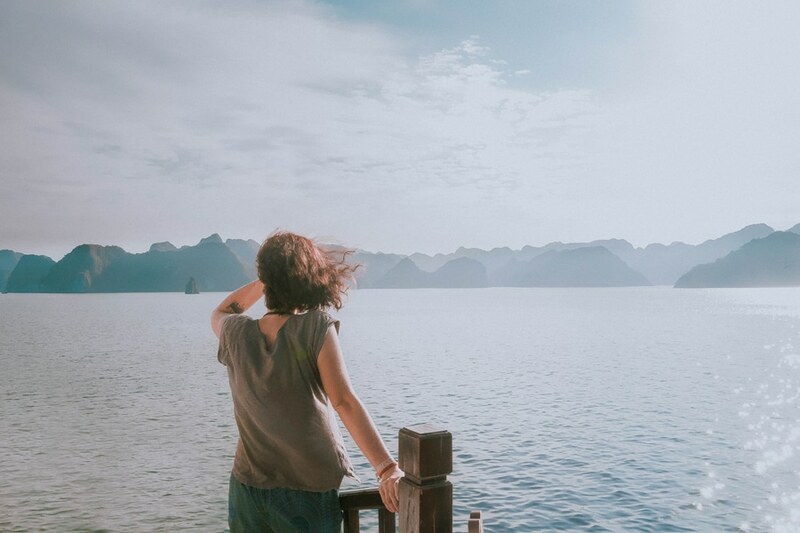 Halong Bay – just as stunning as it is, a spectacular beauty, with a thousands of limestone and isles, each with different shape. There will be a lot of boats around but it’s hard to blame others for wanting to see this unforgettable place. We booked a 2 night 3 day tour through our hostel as we knew that one day wont be enough. It included pick-up and drop-off from the hostel, food, tours to the cave in one of the limestones, floating village and cooking class! Cruising around for a couple of days and staying on the boat with all these geological formations was so relaxing. 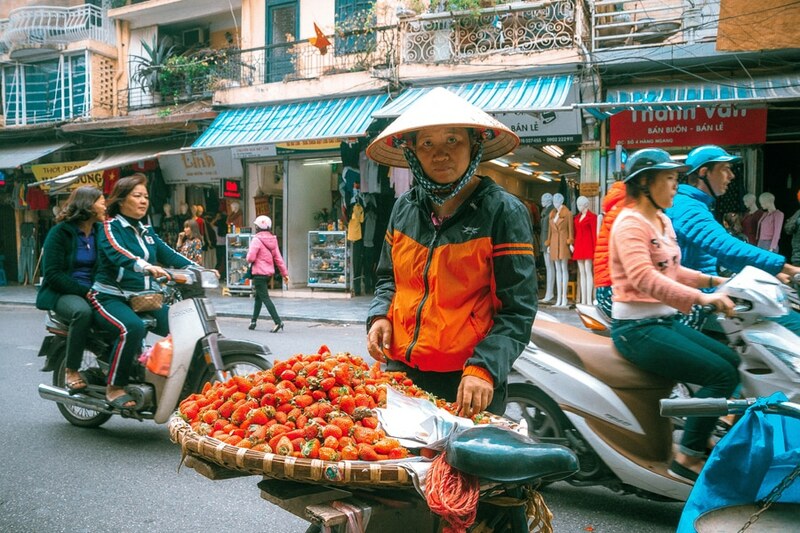 Don’t save pennies and don’t go for a cheap tours as it will be one of the biggest highlights of your Vietnam trip, it will leave you speechless, absolutely worth it! 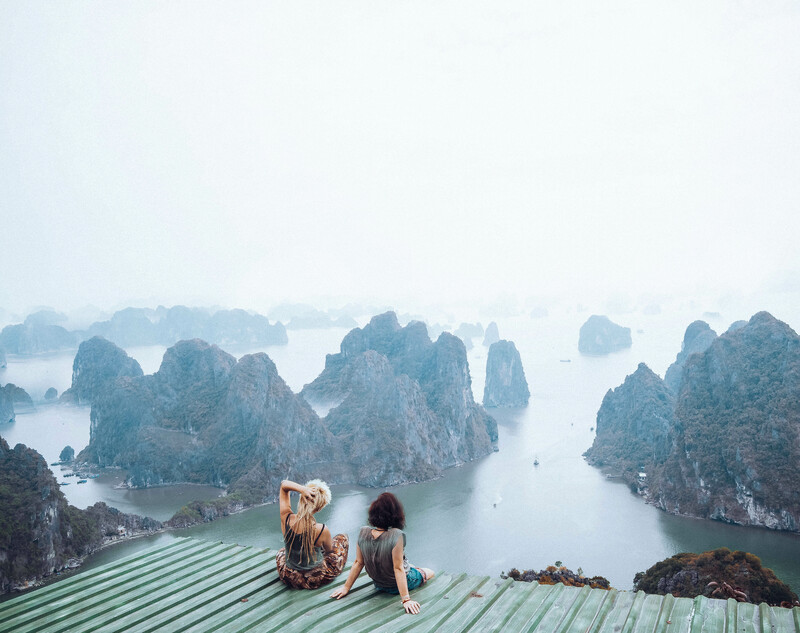 After two days of cruising we decided to postpone our return to Hanoi and visit a secret spot called Bai Tho, Poem Mountain, which is located in Halong Bay City. That wasn’t a problem as there are local buses that take you back to Hanoi for around 2.5£ and they run quite often. 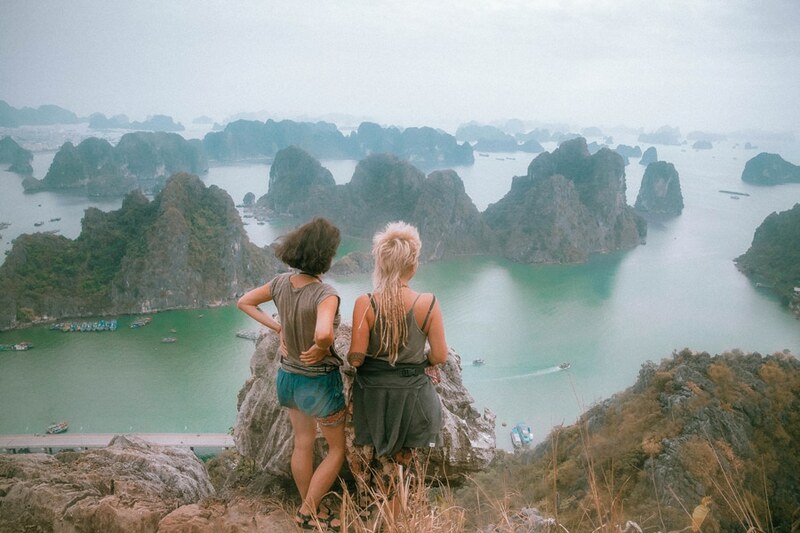 We also met a few travellers that stayed in Halong Bay City overnight to hike the mountain for the sunrise so it’s all up to you. You can follow this very detailed and informative blog how to reach the Poem Mountain. You will have to arrange a taxi to get to a very small and unmarked entrance, but our driver and locals guided us pretty well. We payed a small fee to the lady who lives next to the gate and then just climbed around 30 minutes all the way up. 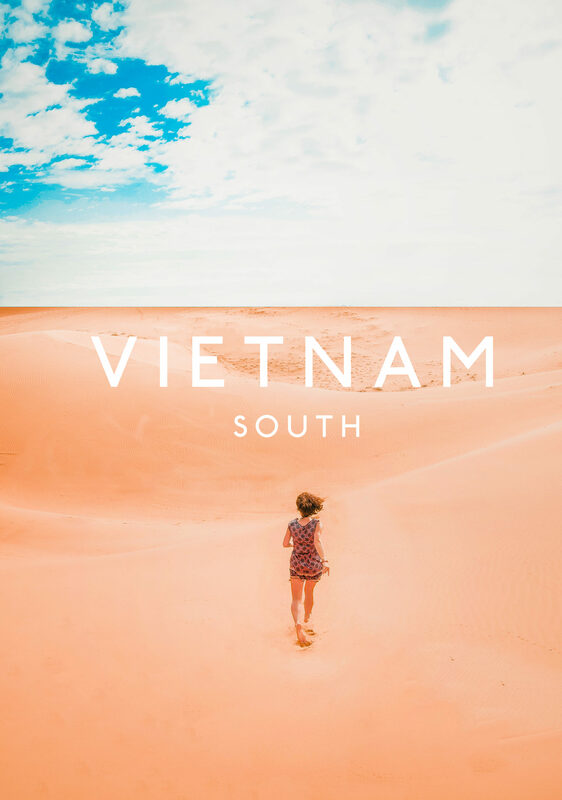 Slightly challenging hike on a hot day, but with no tourists around, will be rewarded with probably one the most spectacular views and pictures from Vietnam. This was a definitely most remarkable way to finish our explorations of this beautiful country.